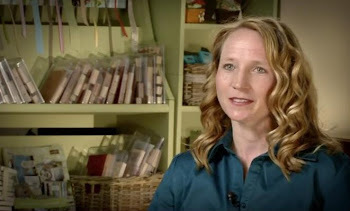 Only two more days for the annual Stampin' Up! Convention. This year it will be held in Sydney. The time has come around so quickly. I cant believe we are almost into June. It has been a very busy year for me and the last few nights have been dedicated to getting my swaps ready for Convention. I have only done 30 swaps this year as opposed to 60 last year. I just have not had the time to do anymore. My flight is tomorrow so I will have to pack sometime so unfortunately I have to try to veer away from my craft room. 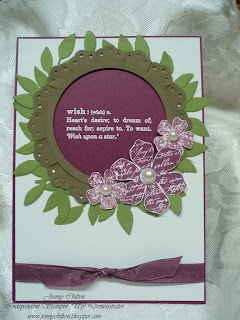 This is one of the cards I have made for the swap. I was eating my dinner and trying to think of a design. I had my paper sitting next to me at dinner and when a thought came t o my mind I quickly jotted it down. Of course they always turn out a little different to what you have in mind but I am happy with my final choice. I just love this Vintage Vogue set from the Autumn-Winter Mini Catalogue and of course the new colours I have chosen go well with the stamp set. I have chosen to use Soft Suede, Rich Razzleberry and Whisper White. Also from the mini is the Big Shot Die cut machine which I used to create my little leaves and that is exactly what the die is called (Little Leaves). I used the Eyelet Border Punch for around the outside of my circle which was cut out using the Circle Scissor Plus. I guess you could say that this card was almost all created using the new mini. If you have not already seen the new current mini it is a must as it full of so many beautiful items. I have used the Rich Razzleberry Refill ink to dye my Very Vanilla Taffeta Ribbon. Refills are available at present from the current mini. I used five drops of ink to three small sprays from my little spray bottle. I had about 10 pieces of ribbon per lot which did not leave any ink behind. My other two swaps are masculine cards. One of them has already been featured on my blog using Circle Circus. It has been quite a hit so I thought I would do it one more time. I think we all have trouble with coming up with masculine card ideas. Our May workshop was a lot of fun where we made a little gift box and two cards. 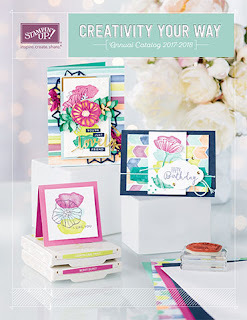 One of the cards is shown in the Idea Book and Catalogue on page 72 using the Fresh Cuts stamp set and the Fresh-Cuts Notes. We used Old Olive and Chocolate Chip. I found the idea for the gift box online by the very talented Heather Summers, thank you Heather. This one can be made using the SU! Five in one Template. The original sizing was too big for what I wanted so I adjusted the siz ing. The top of the box measures 7.5 x 7.5cm so it is a nice size for chocolates or other little trinklets you might like to give someone. Imagine it done up in Christmas colours and holly on the top. How gorgeous! 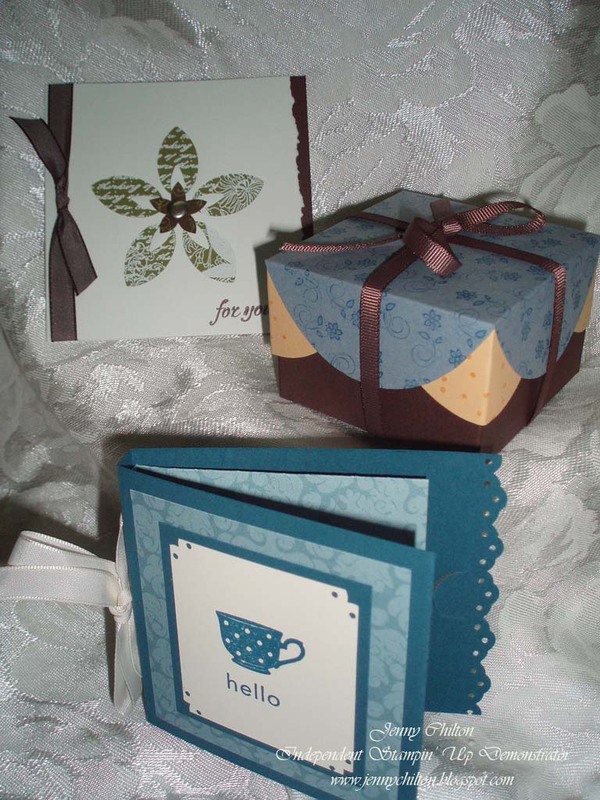 The other item we made was a little card that holds a teabag. I had one of these from the Swap at the Convention in Canberra last year. What a great idea and my ladies loved them. If you would like to join in on my workshops please dont hesitate to contact me. Remember if you have been eyeing off some of those goodies from the mini and there is too many decisions then you may like to hold your very own workshop and receive some of them as a gift for doing so. Its so easy to attain. I was amazed when I had my first workshop presented by Ngaire Anderson, my upline. I was so amazed at how quick and simple a card can be made up and how lovely they looked. I was impressed. So impressed that I decided to join Stampin' Up! From a very young age I wanted to open up a gift shop that sold cards. I have always loved the thought. Well now I have my own little shop right in my own home and I am loving it. It is great doing and sharing something you love to do. That is what Stampin' Up! is all about. Anyway I must go and get some beauty sleep before my trip tomorrow. It will be a long day as we dont arrive until after 10pm and then we have to book into our room. On Thursday a group of us are climbing the Sydney Harbour Bridge. I will admit I am quite nervous at this as I dont like heights but a challenge is good for you and that is why I am doing it. Hopefully I will be a proud one once I make it back to the bottom without chickening out. Wish me luck! I'll be back with some pics and to let you know how I went.